Anyone who wears glasses remembers the first time they put them on. It was amazing how many details of life had slowly blurred away until they were sharply put back into the focus through the donning of your first spectacles. What if you could give that gift of sight to others who have never had access to it in the context of Christian love? What if you could do it even though you have had no training in optometry whatsoever? The iSee package can empower you and your mission group to provide these services. The vision module will enable Christians to size basic eyewear for children and adults. No more used glasses, with sizing and powers that don’t always fit the person. The vision module provides brand new glasses designed to be durable. They also include a travel pouch that helps the indigenous receiver protect their investment. 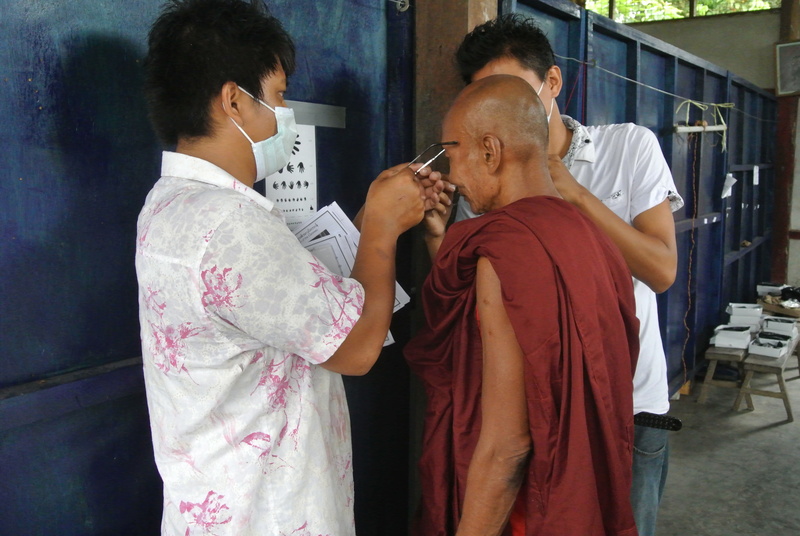 A simple and easy to understand non-verbal DVD trains the Community Health Worker (CHW) to use the eyeglass sizing equipment. Also, all of the materials to fit the patient with eyeglasses are designed to operate in a culture and language neutral manner. This allows for a short term missions group to impact an area without months of cultural and language training. The integration of service with ministry enables the CHW to serve spiritual as well as physical needs. However, the most exciting part of the program is the iSee modules ability to replicate itself. While on a trip, it is easy to train indigenous church members or missionaries to become a CHW using the non-verbal video. The iSee module also generates a means for the CHW to support his family. The indigenous missionaries can then reach people you never dreamed of on your trip. Thus your ministry, rather than ending at your return, will continue to ripple outward for the advancement of the Kingdom of God. Please call 502-365-5540 and a ministry representative can help you start the empowering process!